Why Water Softening Plants Are Required For Domestic And Commercial Purposes? What is the necessity of water softening plants? Water softening plants are the water treatment units which remove the excessive minerals from water which make the water hard. Soft water is good for both domestic and commercial purposes. Drinking water plants have water softening units which manufacture packaged drinking water. The packaged drinking water ensures that the water contains no micro organisms and is safe for drinking. The packaged drinking water contains the adequate amount of minerals required for good health. 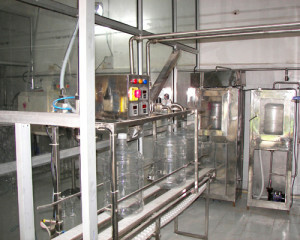 Before the water is packaged and supplied, the water undergoes several water treatment processes. There are several brands which offer mineral water packed in pet bottles. These brands have well designed water softening plants which use the latest technologies for elaborate water treatment process. Number of water purifying methods including distillation and filtration are carried out to remove contamination present in water. The treatment even assures that the ecological balance of the water is maintained before they are made available. The water treatment plant maintain strict rules and regulations while processing the water and making it apt for drinking. After the water is processes and packed in pet bottles, it is ensured that each of the bottles is sealed with a cap, promising that the water inside is in its purest form. While buying bottled water, one should be careful that the seal of the bottle is not tampered. If it is tampered there is no guarantee that the water contained inside the bottle is fir for drinking. 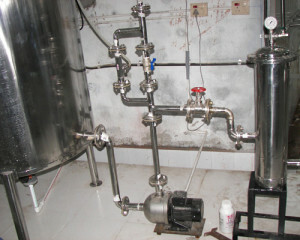 Water softening plant also required for industrial purposes. Soft water is very much essential for proper and efficient functioning of industrial plants. Certain metal ions present in water cause several problems including reaching with soaps. Hard water also leads to the build up of lime scale which can damage plumbing and causes galvanic corrosion.